Who remembers using one of these. 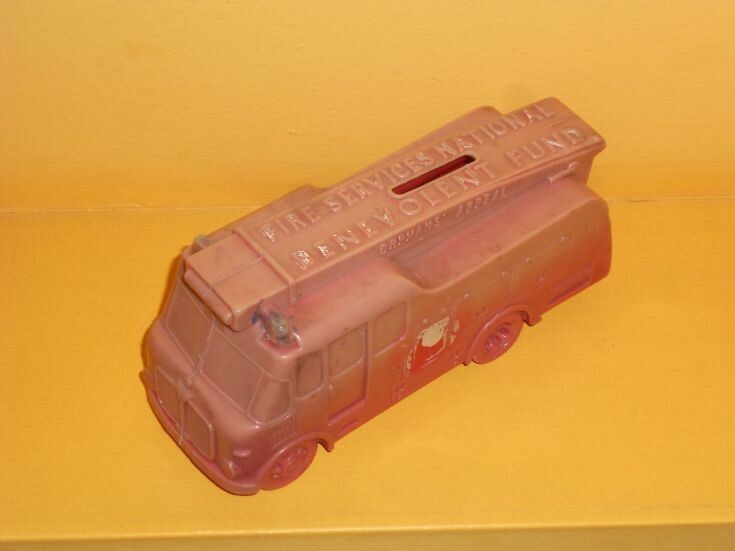 An original Fire Services National Benevolent Fund charity box, now obsolete. On the side it says Orphans Appeal and traces of blue on the lights and white on the writing can still be seen, it has been in a shop window for years, still a bright red colour underneath. Added by Liz Van Vogt on 24 October 2017.